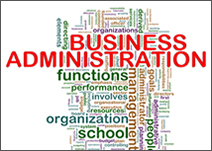 Becoming an administrative assistant requires talent in a variety of areas. Good typing and active listening skills along with the ability to take dictation and communicate effectively are integral to this position. The following are skills and traits vital to becoming an administrative assistant. Ability to multitask. Administrative assistants are responsible for a wide variety of tasks, and the amount of work they have to do often exceeds what most people could accomplish in a reasonable time period. They have to learn to multitask, planning schedules while answering and redirecting phone calls, and setting up meetings while emailing an executive with requests. A salary calculator helps determine the median pay range for a particular position in a certain regional area. This tool can be extremely beneficial when considering a career choice or next employment move. There are many types of salary calculators, and many ways in which they can be used to help workers determine whether they are being paid fairly.